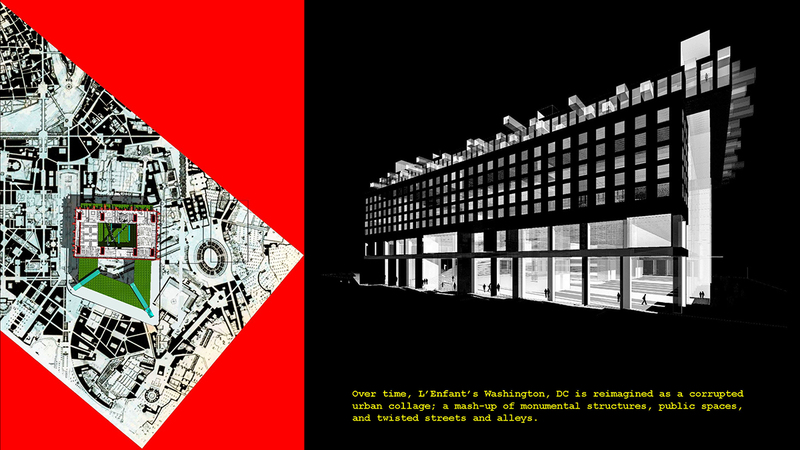 Jury comments: This dystopic project reimagines the two million sf J. Edgar Hoover FBI Building in Washington, DC, as a center for the collection of data. Named after Josef K, the protagonist in Franz Kafka’s novel The Trial, this project takes inspiration from film noir, German Expressionism, and Russian Constructivist propaganda. It is a repository for data and symbolizes the loss of personal freedom through the gathering of data. 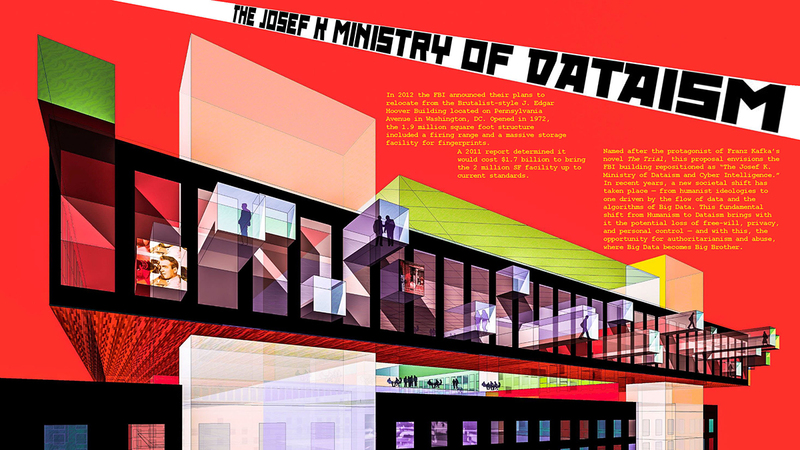 The jury felt that this project was both provocative and dystopic, using architecture to create a political statement about the gathering of data and the subsequent diminishing of personal liberties. 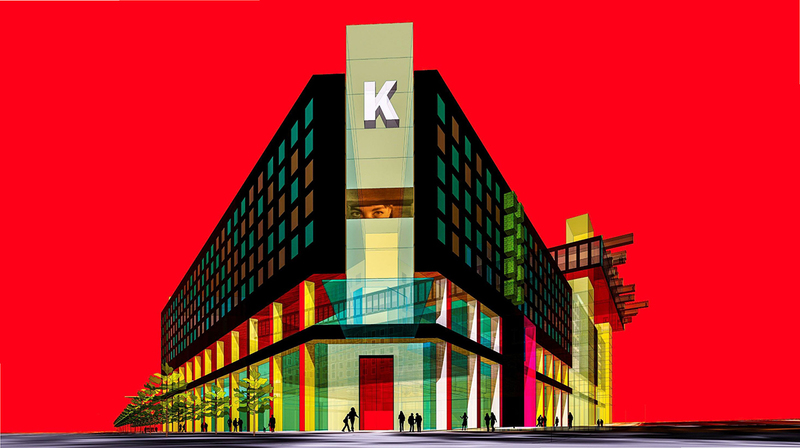 We did not think of this as a real project but as an architectural stage set for political opinion. This project reminded us of politically inspired projects from the 1960s and 1970s by architecture groups such as Archigram and Ant Farm. Although it is an ironic repurposing of the FBI Building, storage and manipulation of “Big Data” and the diminishment of personal freedom are likely already taking place in the data centers of governments and corporations around the world.